Another XL-Connector release with more exiting features! We’ve streamlined the data push operations reducing the number of clicks you need to make to get the job done. Now, if you click on the Update, Insert, or Upsert button in the XL-Connector ribbon, you’ll be taken directly to the mappings dialog box. No need to select the object any more! 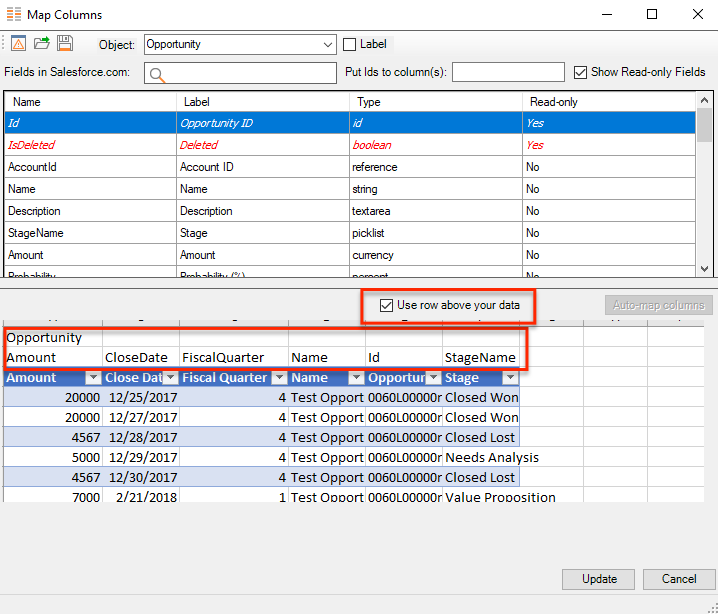 You can now store your field mappings right in the excel spreadsheet (two rows above your data)! This will help when you move your data around the spreadsheet and don’t want the mappings to get messed up. 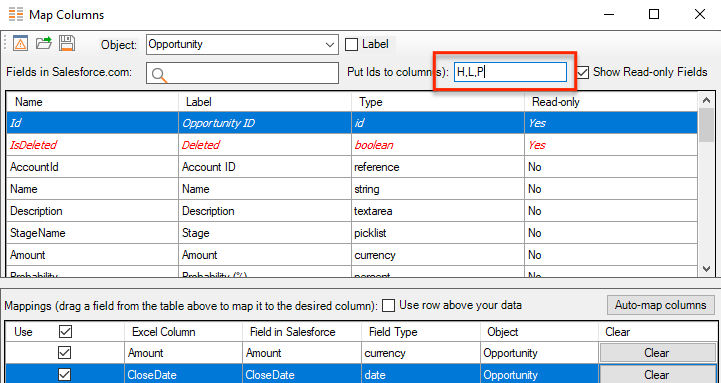 Just click on Use row above your data and populate your spreadsheet with the object and field API names as indicated in the screenshot. Having no field API name above a column is equivalent to unchecking the Use box in mappings – the column will not get uploaded. We’ve combed through the code and fixed several minor issues and UI glitches. XL-Connector is now on Summer ’18 version (v43.0) of Salesforce API.